Green berets. Maroon Berets. Black Berets. Since June 14, 2001, wearing a beret has been part of the regulation Army uniform for most soldiers. Although there are official regulations on how the beret is to be worn, the Army has no instructions on how to form the beret to fit the soldier's head, so that it lies smoothly behind the cardboard stiffener. Use a lint remover to remove any fuzz on the beret. Some soldiers use a razor to shave off the fuzzies, but this can cut the wool of the beret. Place the beret on your head and adjust it so that it fits 1 inch above the eyebrows. Adjust the strings until it fits comfortably. Tie the string in a knot and cut off the excess. According to Army Regulations, the string will be worn tucked under the band in the back. Soak the beret in cold water; warm water can cause the wool to shrink and the colors on the flash to bleed or fade. Gently squeeze out the excess, being careful not to bend the cardboard stiffener that holds the insignia-if the beret is for an officer-and the flash. Put the beret on and adjust it so that the cardboard stiffener is situated over the left eye. Adjust the strings in the back so that the beret fits comfortably. Tie the strings into a knot and cut off the excess. Pinch the material behind the stiffener so that it creates a drape from the top of the stiffener. 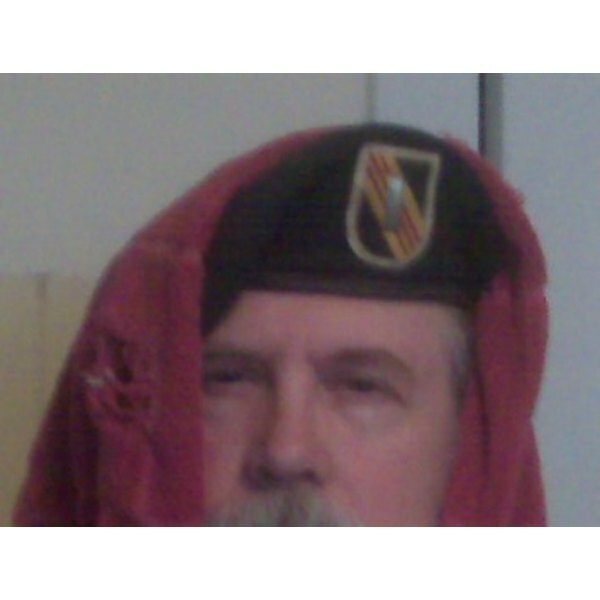 Adjust the rest of the beret so that it drapes towards the right side of the head. Place a folded towel over the beret-but behind the stiffener-to help hold the form of the beret while it dries. Wear the beret until it is completely dry.